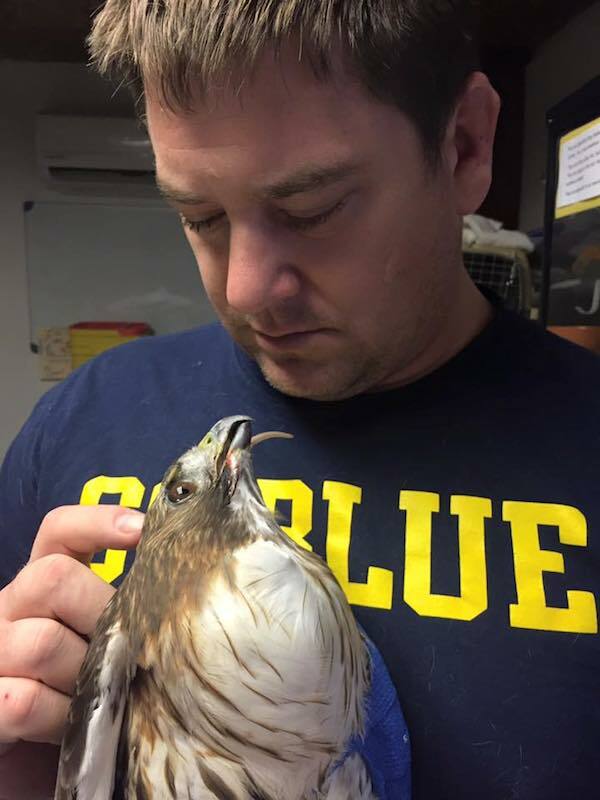 GiGi was rescued by Wild at Heart Rescue after she was found with a traumatic head injury, likely from being hit by a car. 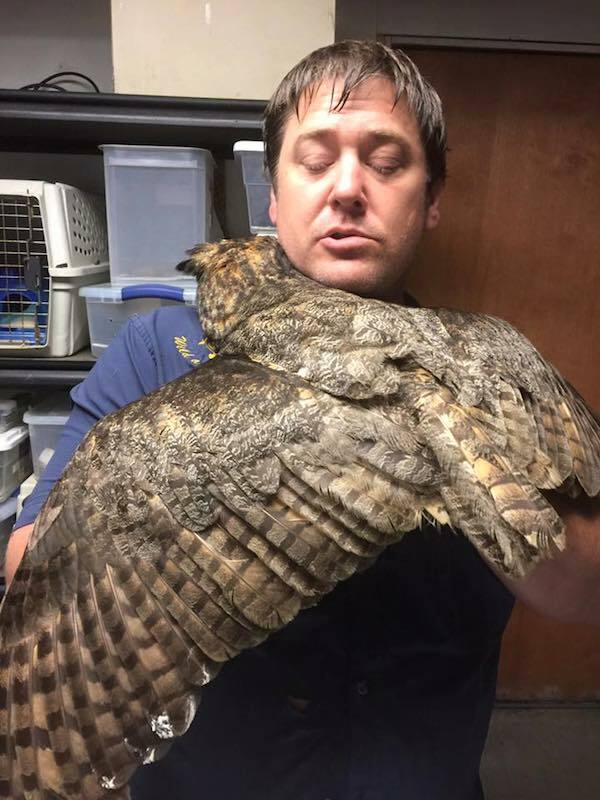 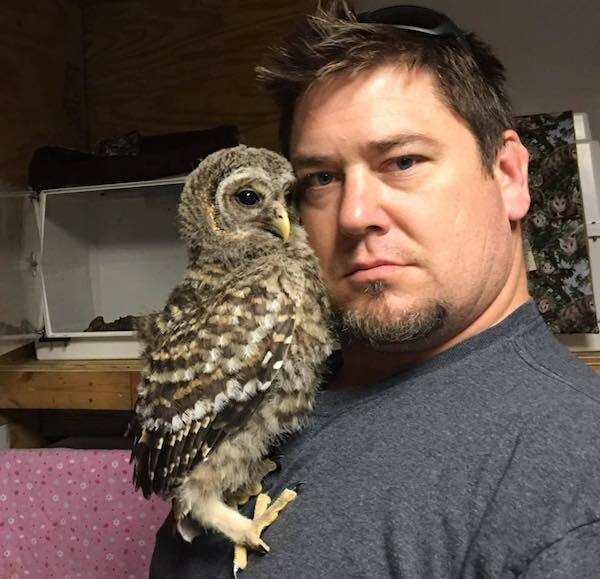 Doug Pojeky, president of Wild at Heart Rescue in Vancleave, Mississippi, has a truly special way with birds of prey. 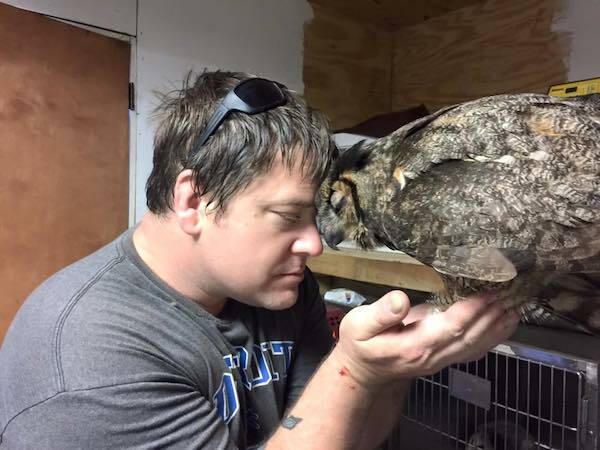 That becomes very clear from the way these birds respond to him. 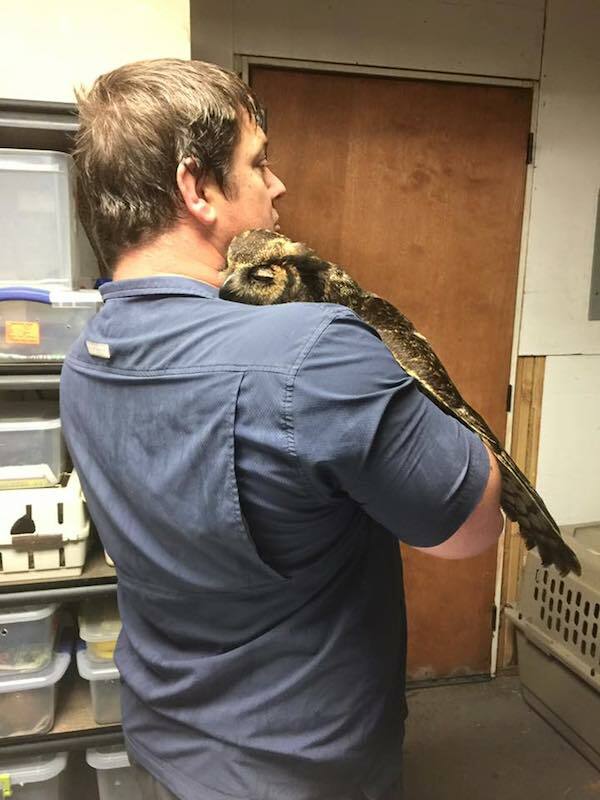 Wild at Heart Rescue recently shared some photos of Doug with GiGi showing just how close their bond is and reveal what “an owl hug looks like”. 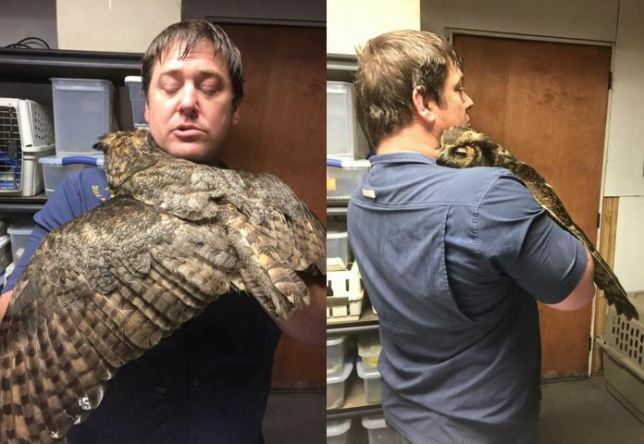 Once GiGi is well enough, she will be released back into the wild. 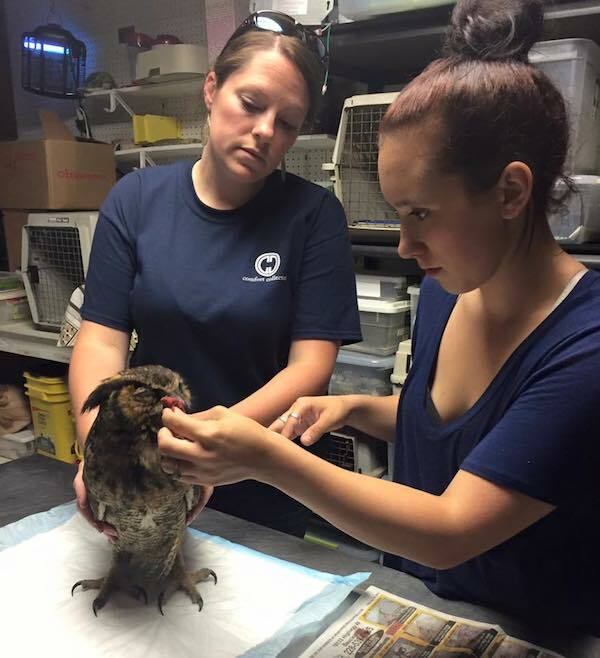 To learn more about Wild at Heart Rescue and to support their efforts, visit their Facebook page and please share this story with your friends!